Shoes. Oh, shoes. You are my favourite. My boyfriend still doesn’t understand why I love them so much, but they just make me so happy. Anyone else like that? You can call it materialistic if you like, but I’m not fussed. Anyway, some new beauties have came into my possession recently and, in the interest of sharing my style, I thought I’d write about ’em. 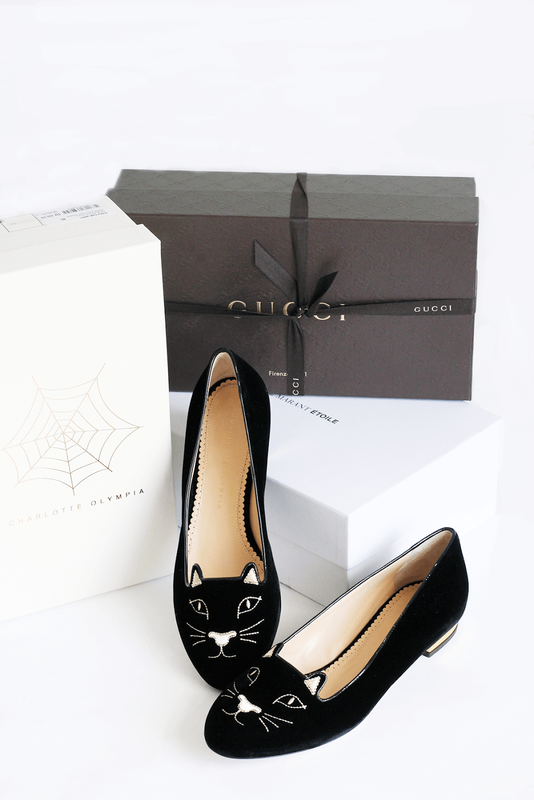 First up is the super cute and adorable Charlotte Olympia Kitty Flats! I’ve wanted these since they came out aaages ago and my boyfriend through an act of terrorism on my behalf kindly bought me them for my birthday. I mean, come on – look at them! They’re the softest velvet material, yet sturdy enough so I know they’ll last ages, and the gold thread and heel detail is such a nice touch too! Plus that’s one more down on my 2015 dream wishlist that I posted at the start of this year. Next are the shoes that have also been on my wishlist for an age ever since seeing some of my favourite style bloggers wearing them. 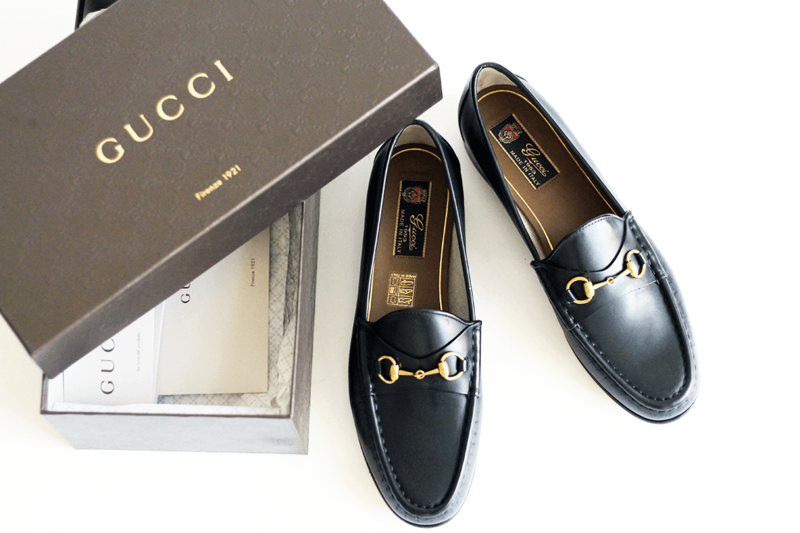 The Gucci 1953 Horsebit Loafers are such a classic, mixing a traditional look with some signature Gucci style. They might not be everyone’s cup of tea, as they’re rather boyish, but I absolutely adore them! 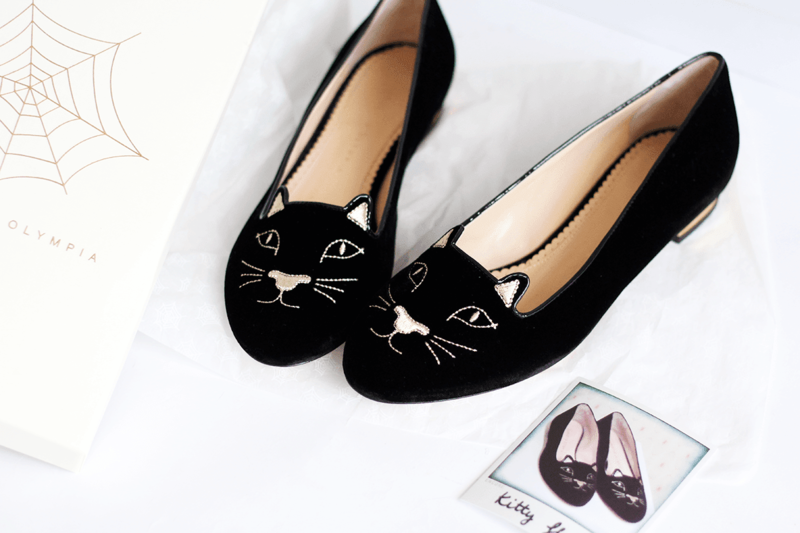 Bonus – I won them in a competition from Lyst too! Gonna wear them to death, I think! Finally, I was after a new pair of trainers but couldn’t find ones that were different enough from the ones I have. I adore my Adidas originals and have black New Balance, and, to me, all the others that people love aren’t different enough from them two to justify the purchase. That’s when I stumbled across these Isabel Marant Bart Sneakers on sale and I knew they had to be mine. Black leather – check, staple Isabel Marant western style – check = dream trainers achieved!